Watching the parole hearing of O.J. 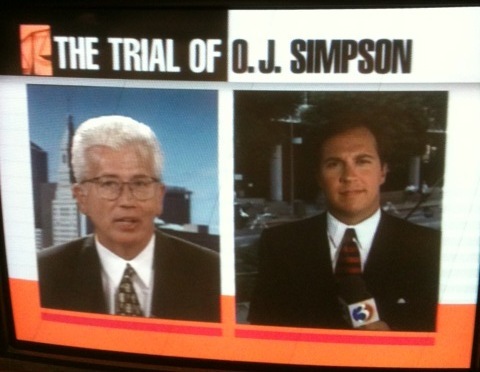 Simpson this past week brought me back to the summer of 1995, when I was on assignment covering a story that dominated our newscasts for much of 1995: the case of the People v. Simpson, otherwise known as the trial of O.J. Simpson trial. The trial of the fallen football legend charged with the vicious of his former wife and her friend in 1994 had been going on for some time when then WFSB news director Mark Effron sent me from Hartford to Los Angeles to get the Connecticut angle. Famed forensic scientist Doctor Henry Lee had been hired by the Simpson’s “dream team” to help prove their argument that DNA evidence had been mishandled by the LAPD. 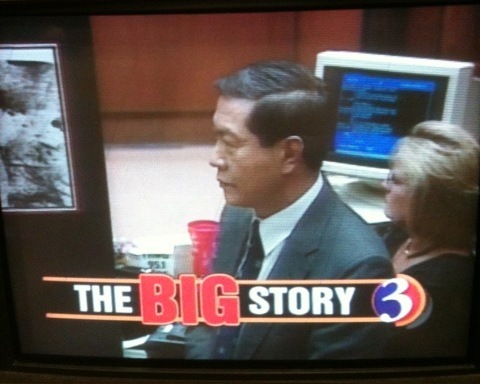 I was there to cover Lee’s testimony, and report it to the viewers back home. My expected three day assignment turned into eight after Judge Lance Ito cancelled testimony on a Friday, meaning I had to spend the weekend there waiting for Lee to take the stand again on Monday. There were more delays, and expected one day of testimony dragged on for several days. During the week, I sat in the courtroom as often as I could, taking copious notes just feet away from a man whose football cards I had cherished as a child, a man who had become one of the most reviled people in America. After court had adjourned for the day, I would track down Dr. Lee for a quick interview and then chase down Robert Shapiro and the other attorneys who became household names. 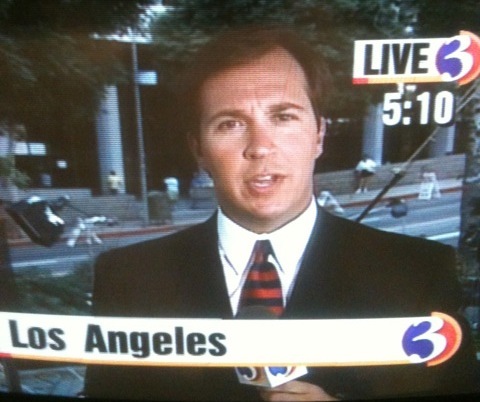 I worked with a photographer from KCBS who knew the shortcuts to the murder scene, Simpson’s house on Buckingham, and most importantly how to navigate L.A. traffic. I actually met some ghoulish tourists from Connecticut snapping pictures of the walk where Nicole Brown Simpson and Ronald Goldman were stabbed to death. (insert disgusted look on your face) Yes…that was my reaction, too. I got some great help from then KCBS reporter Harvey Levin, now the face of TMZ, and worked with a great team from CBS News. 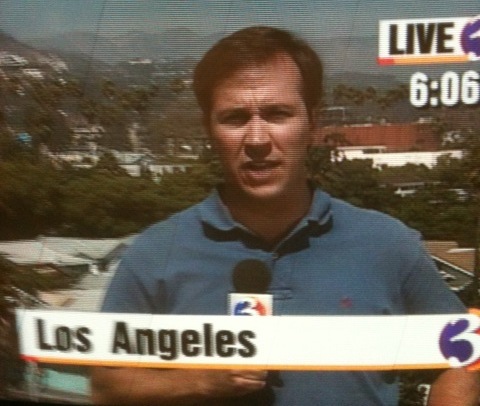 When I wasn’t at the courthouse, I was reporting live from the roof of KCBS, then located at the famous CBS Television City.